Dillinger Escape Plan’s iconic “bars” logo was originally inspired by a fan’s collage on a skateboard deck given to guitarist Ben Weinman. After he blew up the image, cleaned it up and reset the type, the flag logo was born. Various iterations of the logo have appeared on T-shirts during the 15 years since the band (who broke up in 2017) adopted it, including versions where the bars are flipped vertically, or replaced by feathers. 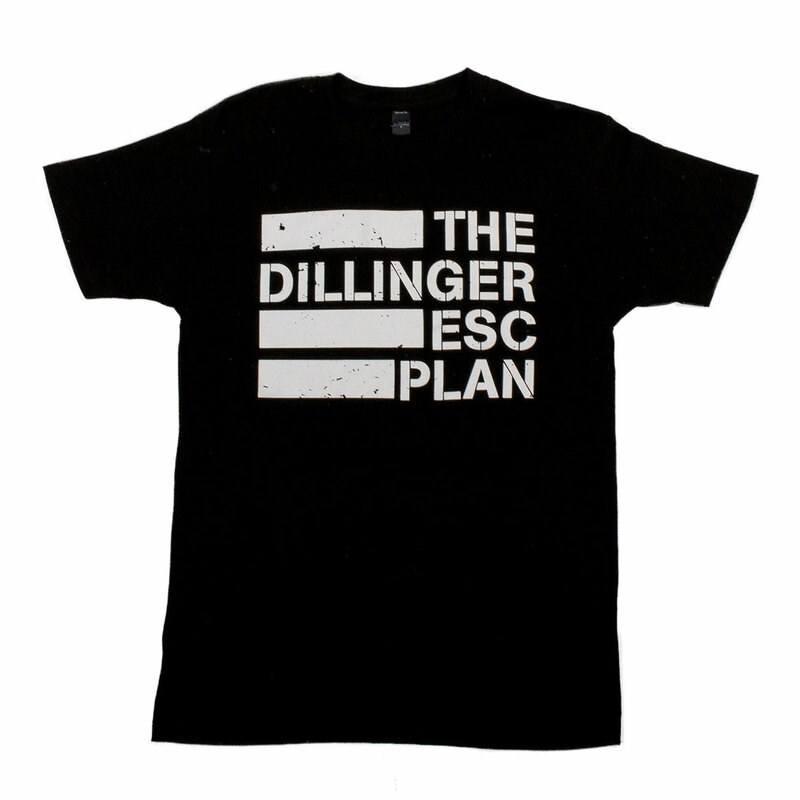 “When [fans] see someone wearing it from a distance, even if they can't read it, they know the person is wearing a Dillinger shirt,” says Weinman. “And I can't really ask for anything more than that." This tee from the game-changing spazz-metal crew is an essential piece in any metalhead's shirt collection. Printed on soft Tultex shirts.